Disney Cruise Line's staterooms are some of the largest in the industry. The decor is nautical with a Disney touch. This will be your home away from home from 3, 4, or 7+ days so be sure to explore the features of the different categories. You may prefer an inside cabin or one with a verandah. If luxury is your style, then consider the concierge level staterooms for your magical Disney voyage. When you book your reservation, your room will be set up with the appropriate amount of bunk beds or cribs to accommodate your entire party. 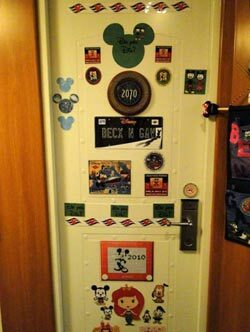 Rooms on Disney cruise ships are larger than rooms on most other ships in the industry, so you should have no problem finding one that suits your family's needs and budget. One thing to remember when booking is that all rooms must include one adult on the reservation. You need to ask yourself how much time you will be spending in the room when you start looking at the different categories of rooms. If you tend to get motion sick you may want to book mid-ship and on a lower deck as they don’t move as much as a room in the front (forward) or in the back (aft). "Mid-ship" is the hub for all activity on board. The elevators are more crowded than those in the fore and aft of the ship. There is more hallway traffic, which can lead to more noise outside your stateroom. This area of the ship tends to be more congested in general. If you are looking for a quiet, relaxing area of the ship to call home for the length of your cruise (and you are not prone to motion sickness) consider the fore and aft sections of the ship. If you are a larger family, you'll have a couple of different options. A suite, which includes concierge services, will fit your family plus give you a little more luxury. For a more budget friendly option, you may find that booking two rooms gives you the flexibility that works for your family. On a ship, "connecting" rooms are two staterooms that have an interior door between them. "Adjacent" rooms are side by side by have no interior door between the rooms. If you are truly watching the budget, you might want to choose the Inside Staterooms. These rooms are cheaper, because they have no portholes to see outside. On the Disney Dream and Disney Fantasy, these staterooms will have a virtual porthole with a view of the ocean outside (and even an occasional visit on the screen from a Disney character!). Disney offers rooms with verandahs on all their ships. Depending on the category and location you book you will have either a solid white wall verandah where you need to stand up to look out at the water or a plexiglass verandah. You can see on this chart which rooms have the solid white wall verandah. They are indicated by a *. The ocean view rooms will have a large porthole. If you are on deck one you will have 2 smaller portholes in your room instead of the one large porthole. Some people might be particular about the view from their stateroom when docked at Castaway Cay. The ship backs up against the dock at Castaway Cay, so is facing towards the ocean. The port side (left) staterooms will face the bay, post office and tram locations. The starboard (right) side will face the beaches. Onboard credits (also called shipboard credits) are a great way to send a loved one off on a cruise or just to treat yourself. You can pre-purchase onboard credits which are good towards cruise items, merchandise, food and beverages. They can be purchased in $25.00 increments. You can order them by calling 1(800) 601-8455. Onboard credits are often given by your travel agency as an incentive to book a cruise. Disney Cruise Line provides an in-room safe in every stateroom. You should lock up all valuables such as wallets, passports, cameras, phones. The safe uses a keypad that you set when you first use it. If you have large items that you would like to secure, you can take them to Guest Services and they will lock them up for you. Each stateroom on the Disney Wonder and Disney Magic has a "refrigerator" in the stateroom. The word is in quotes as it's not an actual refrigerator, but more of a cooler. It will keep things moderately cold, but is much less successful at taking things from warm to cold. Should you purchase a soda or water package, or purchase these things while ashore, keep in mind that your room steward or room service can provide ice and an ice bucket. The Disney Dream and Disney Fantasy have "real" refrigerators that will keep items cold. If you need to keep medicine cold, you should contact Disney Cruise Line. They will send you a medical form and you will need to have it signed by your physician. 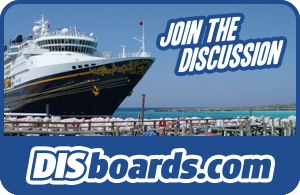 The completed and signed form will need to be faxed to Disney Cruise Line before you cruise. When packing for a cruise, you need to remember that you will be required to store your luggage in your stateroom. As your stateroom is already smaller than your average hotel room, this can seem daunting. When choosing luggage, choose bags that can easily nest inside each other. Also, remember there is valuable storage space under the stateroom beds. Your stored luggage is a great place to hold things that might only be used occasionally. Many cruises have theme nights in which you might want to participate. Storing your pirate costume in your luggage will allow for more space for more versatile clothing in your closet. A great addition to the staterooms on all four ships are the portable Wave Phones. Each stateroom has two phones, which allow families to keep in touch with each other while on the boat and while ashore at Castaway Cay. The phones can call other Wave Phones or any other phone onboard, such as the phones in staterooms, restaurants or activities desks. Disney also asks that parents keep the phones with them in case the Youth Activities department needs to get ahold of them with updates on their children. No adhesive, tape or removable gel adhesives of any kind may be used. These damage the finish on the doors. Over-the-door hanging organizers may not be used, as they scratch the doors' paint. The doors are metal, so magnets may be used. 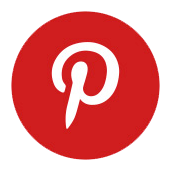 However, magnetic signs advertising company names other than Disney may not be used.